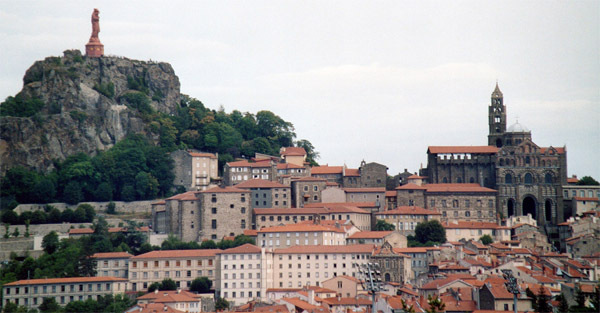 A commercial, cultural and sports crossroad, Le Puy-en-Velay is nestled at the heart of a region of a wide variety of natural landscapes. The city hosts a monumental cast iron statue located at the top of Corneille’s rock. It is a sculpture of Our-Lady of France, representing the Virgin Mary, 16 meters tall and weighing 110 tons. We often go there to buy our beer, a holiday feeling, for clothing, no fitting room, but it doesn’t bother my husband, he has the whole collection of rugby polos from the store, and there is a lot of other things such as whisky stones…. Le Petit Futé – Lesarnos.